There are a lot of marketing strategies that business owners need to consider. Many of the traditional methods of advertising like radio, newspaper, and television are still relevant and can do a great job spreading the word about your business. When it comes to the online landscape, things have changed a lot over the past 10 years and if you are not proactively marketing your business online you are without a doubt losing money to other businesses in your industry. That said, how do you know what forms of advertising to choose from? There is SEO, PPC, social media, and more. In this post, we will talk about SEO (Search Engine Optimization) and discuss the things you need to consider in regards to whether or not SEO is a good fit for your business. Let’s do this. Should Your Company SEO Market? Some people (depending on who you ask) would say every business should have some sort of SEO gameplan in place. However, in the spirit of providing good value to our readers, we want to be forthright. The first thing you need to ask yourself when considering SEO is; do you need clients now? Truthfully, this is probably a great strategy for any new website/business. Paid traffic now while building your SEO empire for later. The only problem with that is money. While SEO is technically “FREE” traffic, it takes money to rank. You will either need to invest time and money into your SEO education or spend money outsourcing to a professional SEO company. What companies are a good fit for SEO now? If your business is already established and has a solid flow of clientele it can only help to start implementing and SEO gameplan. This is a perfect time because you do not need leads right now and you have a customer base in place so you can easily justify the cost of spending money on SEO services. To be honest here, depending on your niche and city, you should allow 6-12 months before expecting to see real traction from your SEO marketing efforts. In some cases, beyond 12 months would be reasonable, it all depends on the competition in the niche. For instance, ranking a personal injury attorney in Toronto is going to be much harder than a plumber in Kenora, simply because the number of competing websites is astronomically different and attorneys lifetime value of a client is much higher than a plumber so they are fighting hard to nail down their top rankings in the SEO space. SEO is a great marketing strategy. Once ranked, you will enjoy 24/7 exposure from the millions of searches that take place on search engines every day. Ranking through SEO can be all a business needs to flourish by providing a constant and steady flow of new leads. The best part is, once ranked you should not have to pay the steep prices it can cost to get there and can most likely dial back the link building and SEO efforts into more of a “maintenance” type deal just so the site stays relevant in the eyes of Google. Hopefully this post has been helpful, and you now understand better how SEO works and if it is a good fit for your business. Things on social media happen all of the time. Social networking is the simplest and best means to push out your SEO-based content. Social networking is the easiest and most active method to drive out your SEO-based digital content. Social networking encourages natural and organic inbound links, that’s the way it ought to be carried out. According to local seo solutions, social media provides the privilege to include things like the neighborhood community specific post that could connect people directly. 1 key way is via social media listening. Social media is now an undeniable tool for marketing and client engagement. As a result, they presents a stable platform for showing brand presence as well as boosting your SEO techniques applied to the right audience. Social networking is a bridge between your company and its customer base. In the sphere of internet marketing, both societal media and search engine optimization are the two most frequent means of performing inbound content advertising. So as to decipher what’s popular and credible, they rely on social networking. Yes, social media is a little bit of a popularity contest. In conclusion, it is certainly playing a huge role in search engine ranking. Social networking is a huge ocean of opportunity. While they can add a nice little boost to your SEO efforts, the reverseaof courseais also true. Social media can affect your online advertising efforts in a variety of ways. It’s also essential to have your social media accounts linked directly to your site. Social networking is vital when it has to do with Internet advertising. Social networking is here to remain. They play a significant role in increasing your search ranking. When it has to do with social media and SEO, social media marketing is, thus, among the best strategies to improve an overall search engine optimization strategy. Search engine optimization isn’t purely technical anymore. SEO helps the search engines work out the content and purpose of each page and the way it may be helpful for users. Some best practices that folks use for SEO may also be used for social media marketing. Integrating your SEO and Social networking strategy can significantly improve effects. For any of your Search Engine Marketing in Alberta you can check out Toronto SEO Expert SEO Agency in Edmonton Alberta for more details. Marketing has ever been an important means to enable the consumers know about your brand. Social media marketing may also lead to genuine, high-quality links from influential sites. Paid Marketing is currently a feature of all of the Social Media Channels and it’s essential that you invest in them so you reach out to more people. That’s why content marketing is quite important. Nowadays, social media marketing has turned into a critical approach that ought to be focused more for much better result of search engine. It is a necessity for your business in order to project your company has industry driven. It is a complex practice where the rules are constantly changing. In reality, organic social networking marketing is cost-free. Having a website is a must in today’s business environment. It is what many people look for when they are seeking information about you and what you have to offer. Having a website optimized is taking things a step further, but it is also very important. It helps to rank your website in the search engines and provides a stream of traffic that can take your business to the next level. Although most business owners are aware of the need to optimize a website, they may not be fully aware of how to do so. The following tips can help you to make the most out of your optimization efforts. Focus on quality – one of the most important things to consider when optimizing a website is the quality of the content. This has been a factor for many years and it will continue to be important for the foreseeable future. Quality content engages the reader and keeps them on the page longer. It makes you more of an authority on the subject and can give a significant boost to your search engine rankings. Consider the Keyword – The keyword used for the webpage is one of the more important factors when it comes to optimization. Keyword research should be done in advance to determine what people are typing into the search engines, rather than choosing them at random. If you need to use a service for this, why not consider Ni SEO Quebec. The keyword or keyword phrase can then be included in the webpage in the title, H1 tag and throughout the page naturally. Responsive Websites – One other factor that is vitally important for optimizing a website is making it responsive. More and more frequently, people are searching online using their phones and smaller devices. If your website is not responsive to those devices, you are missing out on important search engine rankings. It is yet another key to making your website work well. Go Local – if you serve your local population with products and services, then make sure that Google knows where you are with local web hosting, and directory submissions. Remember Google loves local, so be sure to use a local host when you can like – Best Web Hosting 2018 Canada. The more local, the better! The number of businesses investing in SEO has continued to increase, as more and more get to know the many benefits they can get. There are stories of businesses growing and increasing sales by just having the right SEO strategy in place. It is important to know that the results differ, but doing it right will yield results. 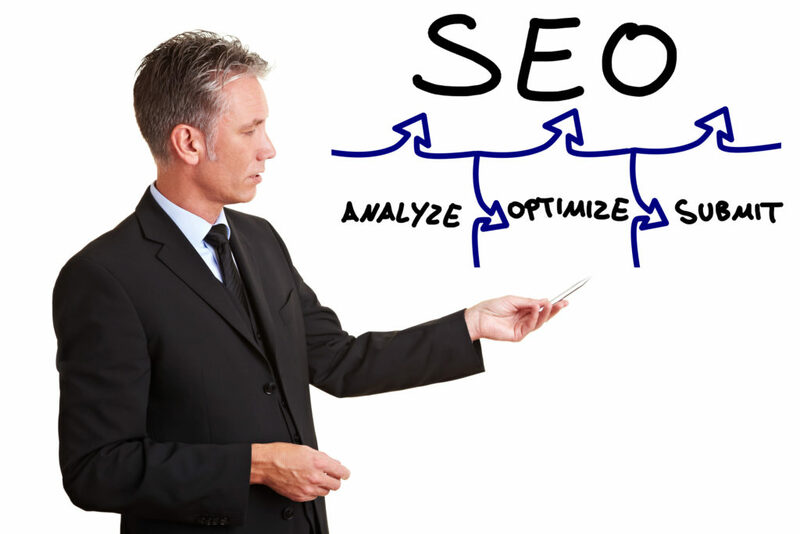 It is important to choose the right SEO expert to help you out whether you are experienced in SEO or not. If you own a business, chances are you don’t have many employees, and focusing too much on SEO will mean less time to work on other aspects of your business. You can be involved with the campaign, but it should not get in the way of running your business. Choosing the right SEO expert to help you out is not as hard as you might think. Here are some great questions you can ask SEO experts before you can decide to work with them. Can I get a list of your current and past clients? Every authority SEO firm will have no problem with sharing a list of some of the past and current clients and their contact information. These references are important because they help in gauging the quality of service of the SEO expert and if they delivered what they promised. The clients should be able to tell you whether they saw a movement in their rankings, especially in the area of conversion and getting traffic. How will you move my website up in rankings? It is a good idea to stay away from SEO experts who are not able to share the methods they are going to employ. They should be able to explain strategies that they are going to use to help you improve rankings and an estimate of how long it is going to take to reach your goals. The proposal of the SEO expert should also include your website review and the areas that need to be worked on. Some of the common things you can expect include search engine rankings, error pages, broken links, etc. You need to know the problems with your website before you can begin the marketing campaign because this will help you know how much you are going to spend. You can also ask the expert whether they do off-page SEO services that help in spreading the word about your content on other websites often through top social media platforms, blogs, and press release providers. For top local rankings in GT area check the best SEO company in Toronto and get your business to the top of Google. Do you follow Google guidelines for webmasters? You must choose an SEO expert who strictly follows webmaster best practices that strongly advises against some common SEO tactics, an example being creating spammy, low-quality content and adding spam links. If the digital marketer doesn’t follow these guidelines, then there is a risk of your website being relegated on the search engine results page, or even ban your website from SERPs. The search marketing expert should follow the guidelines and encourage quality content for your website. Are you experienced in local SEO? Local SEO has continued to be an important part of every SEO campaign. Search engine companies have said they are focusing more on local SEO, which is good news for businesses because they have a chance to get nearby clients. Appearing on the results page when a person searches your location and keyword is something you should be working hard achieve. Ranking well on search engine results page is not as hard as it may seem, provided you choose the right team to work with. Choose the best SEO consultant who knows what he is talking about.